We like to change up our graduation display a bit every year. This year one of our displays featured these STAR awards. The awards were printed on yellow paper. Printing on cardstock is best, but if that's not an option they can be printed on regular coloured paper, too. 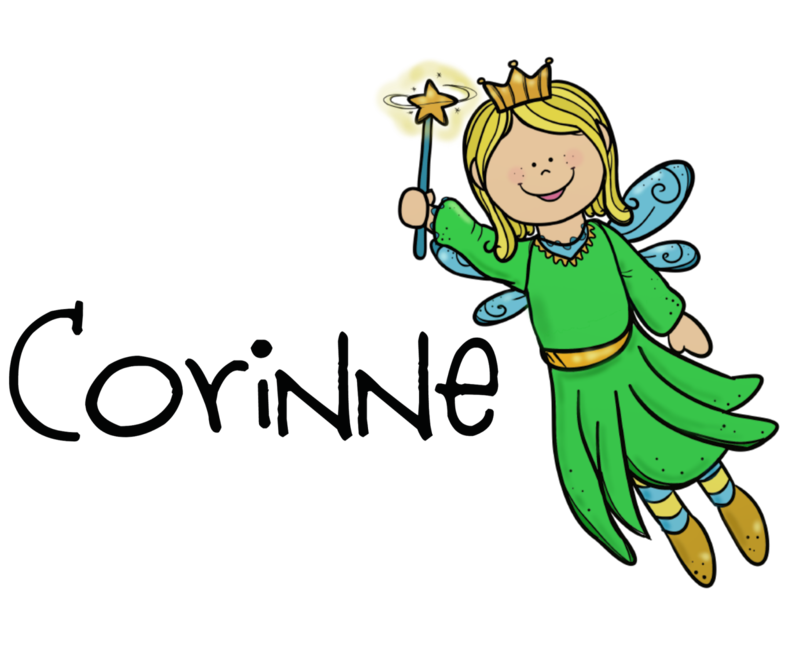 Here is a sample printed on yellow paper. 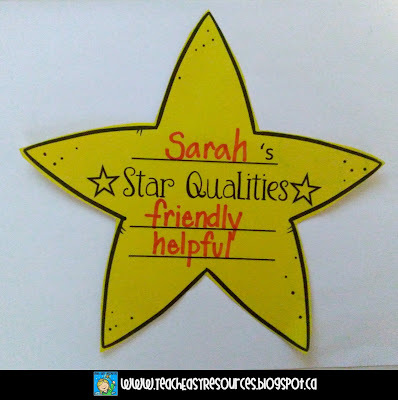 After we wrote the star qualities, the kids smeared gold sparkle glue around the edges to make it look nice and glittery and then we mounted it on royal blue paper! Teachers can choose two star qualities to add to each star OR teachers can choose ONE quality and have students choose the other one to describe themselves. 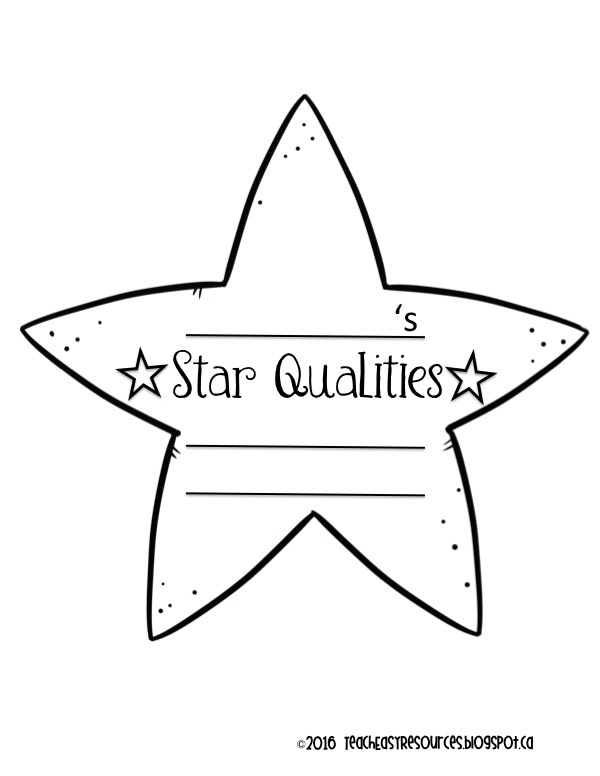 If you choose the latter option, you may want to brainstorm a list of positive qualities as a class to give your students lots of ideas from which to choose! 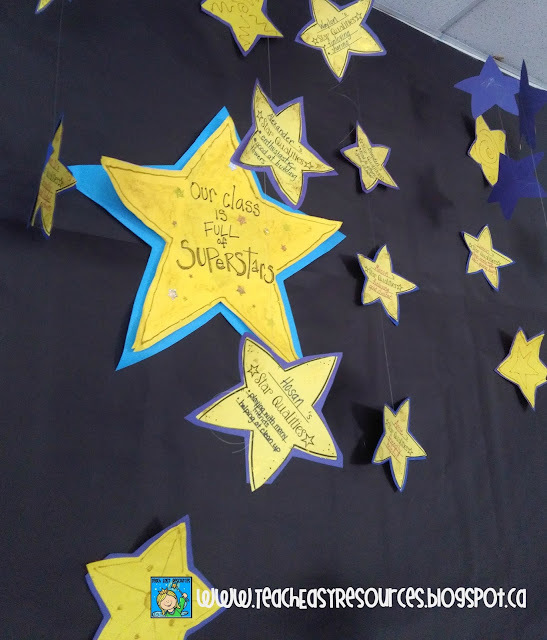 Here is what the stars looked like hanging from the ceiling for our display. To hang them, we attached pieces of fishing line to the ceiling and then taped a number of stars to each line. 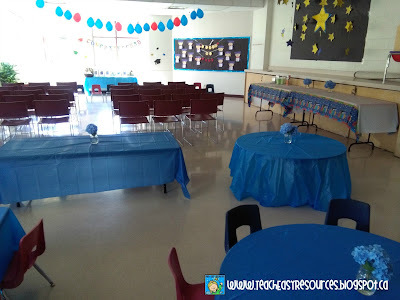 I hope this idea helps add to your graduation celebration! For more graduation ideas, take a peek at another graduation post HERE. 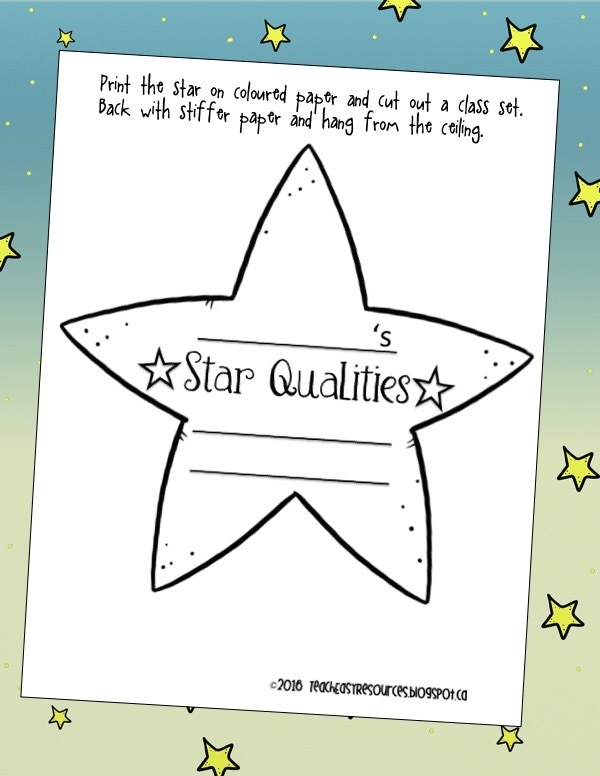 To pick up your free Star Award/Decoration printable, visit my Teach Easy Resources shop on Teachers Pay Teachers!